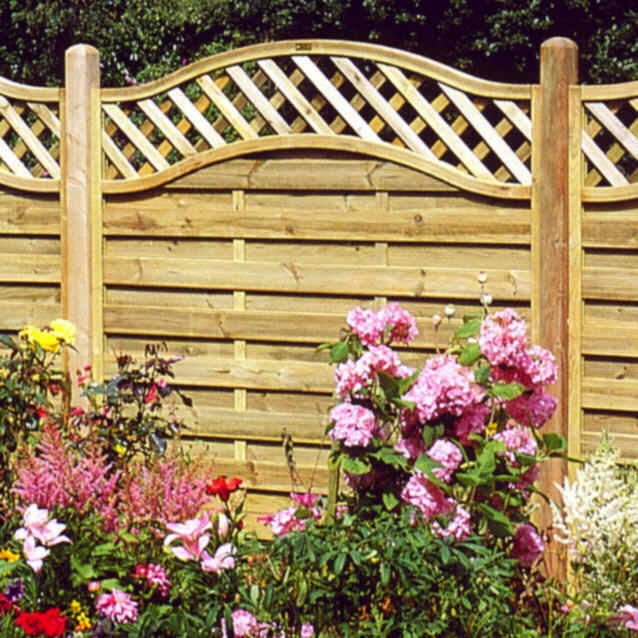 At wilfirs we supply our deluxe fencing panel range, this Softwood quality Lattice Top Panel is 1800mm (71inches) wide x 1200mm (4ft) high. This panel is GREEN pressure treated for longer life span. This highest point on the panel is 1200mm ( which is the top of the bow) The start of the bow is 1000mm. This is a quality version of this panel unlike that sold on some sites. The panel is 45mm thick and the slats are held in place with Stainless Steel Screws not staples. 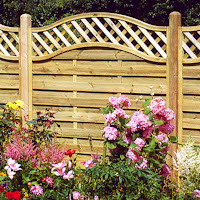 Size of panel can be increased to 1830 (72 inches) by adding two packing strips which are available from us. Rockwood WPC decking is the ideal alternative to traditional timber deck boards - providing you with a sound floor underfoot for all your outdoor relaxation and socialising.